I Gotta Listen to My Body!!! Well, here it is Saturday morning and I feel like crap! Friday nights are our “Bring Something In for Supper” nights so I, armed with coupons, picked up A&W for Norm and myself. He got a Teen burger meal with onion rings and I got myself a Grandma burger. I had been a good girl all week but I should have known the bun would do me in. Yes, I am really shoulding on myself! Oh well, Ripley went away but even coffee doesn’t taste right this morning. I’m not nauseated but not 100% either. 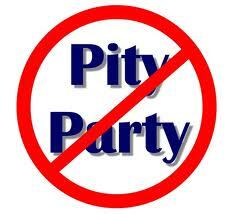 I think I will get a lot done today out of guilt but do not pity me. I have made the choices I make and must live with the consequences. I’m doing well and we all backslide once in a while and if you hear someone say they don’t then they are either lying or included their favourite crave morsels in their “plan”. Actually that does sound like a good idea! ~ by 1fatgirlshrinking - Diane Kirby on January 28, 2012.
wishing you a better day today. I’ll be thinking of you. Making pies with the students went well on Thursday. We missed you though.